This Bible Puzzlers activity book contains fun and challenging puzzles from the Old and New Testaments. From word searches and quizzes to Bible codes, kids are sure to find puzzles they'll enjoy. The activities are designed for children (ages 6-10) to enjoy. Scientists, historians, and archeologists are always trying to learn more about how our earth began. When you solve this puzzle, you'll discover one thing we already know! First, decode the words. Then put them in the right order to read the Bible verse. 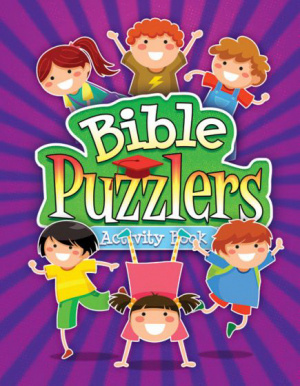 Bible Puzzlers Activity Book was published by Warner Press in January 2015 and is our 765th best seller. The ISBN for Bible Puzzlers Activity Book is 9781593177676. Be the first to review Bible Puzzlers Activity Book! Got a question? No problem! Just click here to ask us about Bible Puzzlers Activity Book.